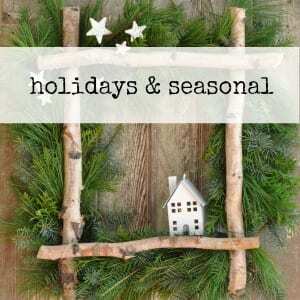 Yesterday I shared by St. Patrick’s Day table and bar cart, and today I’m sharing the food. 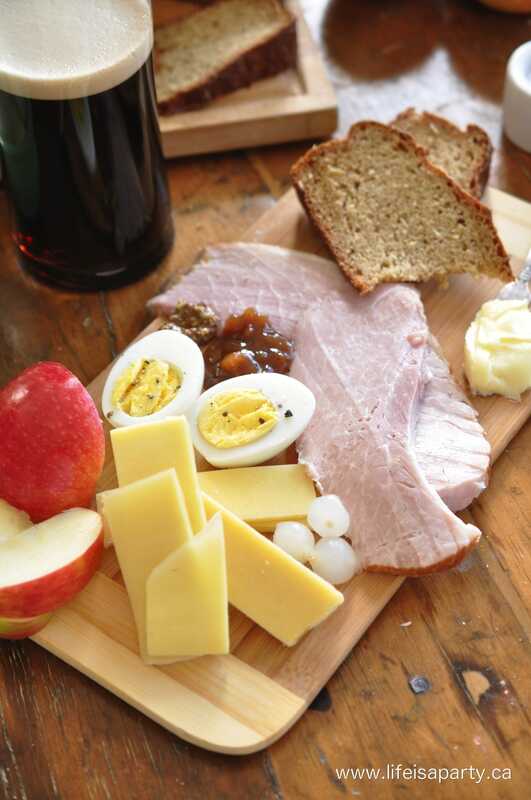 We had a delicious Ploughman’s Lunch with an Irish twist. 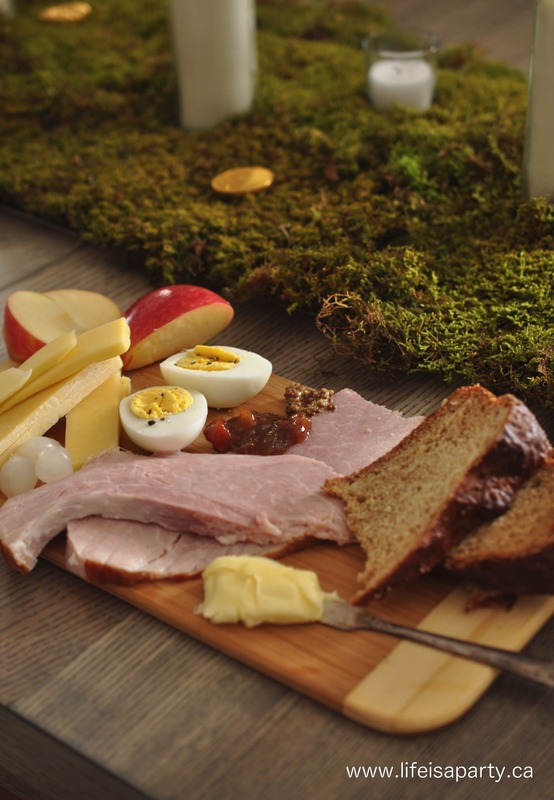 It’s perfect for celebrating St. Patrick’s Day -easy, and so, so delicious. 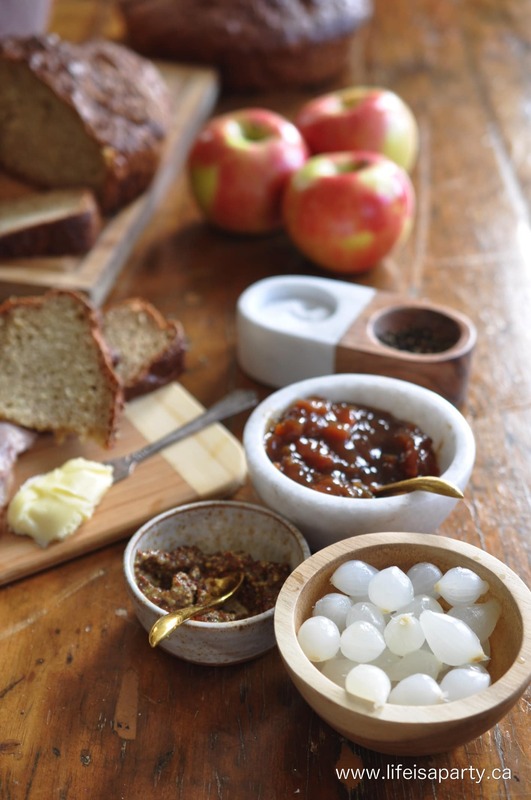 A traditional ploughman’s lunch is served all over the UK. 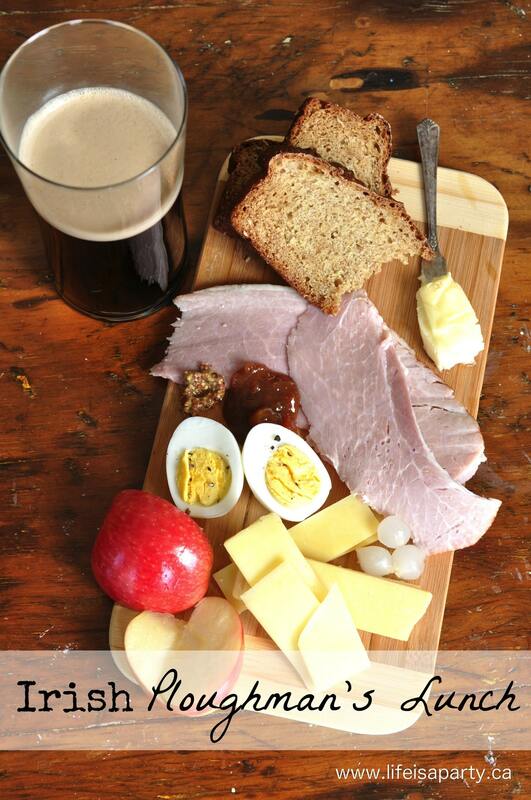 It’s real pub grub and was made popular in the 1950’s when the cheese board popularized it to help with cheese sales. It usually consists of some cheese, bread, and meat, sometimes hard boiled eggs, and condiments, sometimes a bit of fruit or salad. 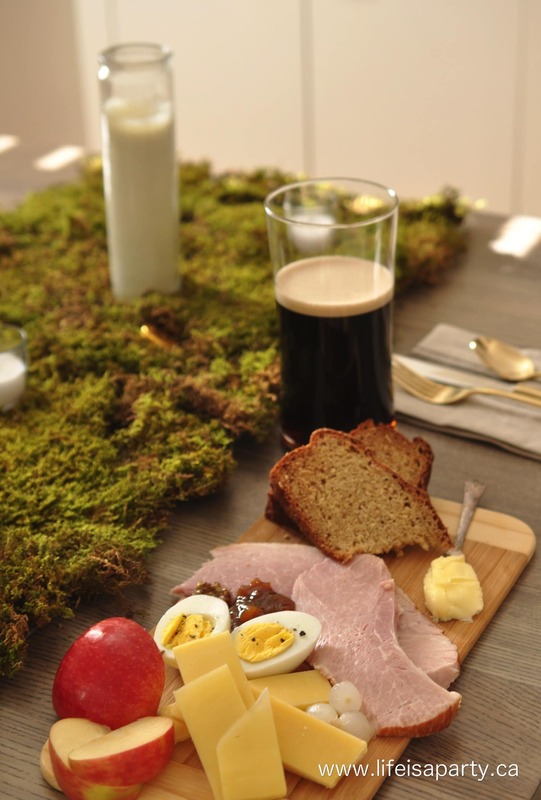 We’ve put a fun Irish twist on ours with some special Irish ingredients, making it the perfect meal for celebrating St. Patrick’s Day with friends. 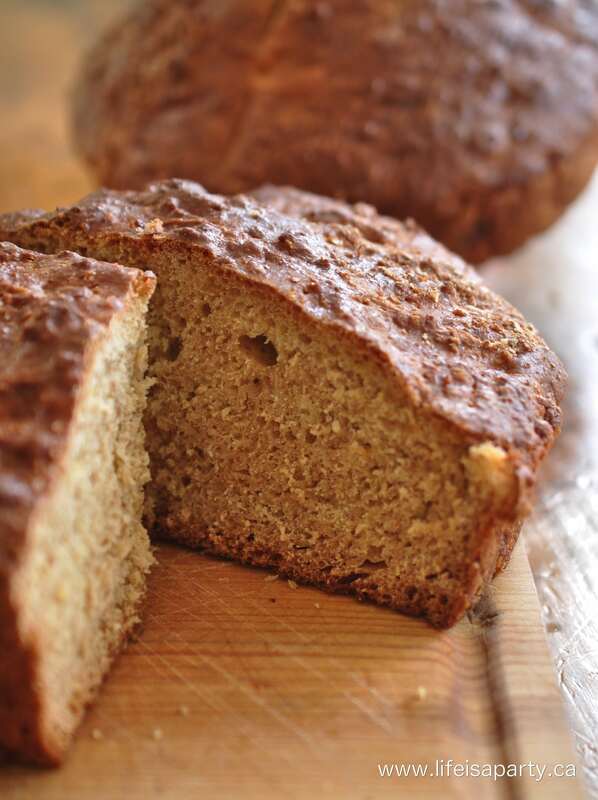 We started out with some homemade Brown Irish Soda Bread. This was the first time I’ve ever made it and it was easy and delicious. I used a tested and true recipe from my sister, who got it after eating it lots of times at her friend’s house. 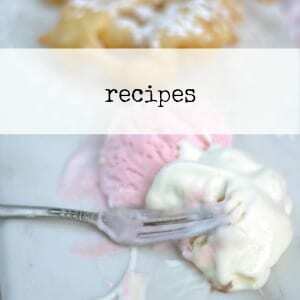 Those are always the best kind of recipes. 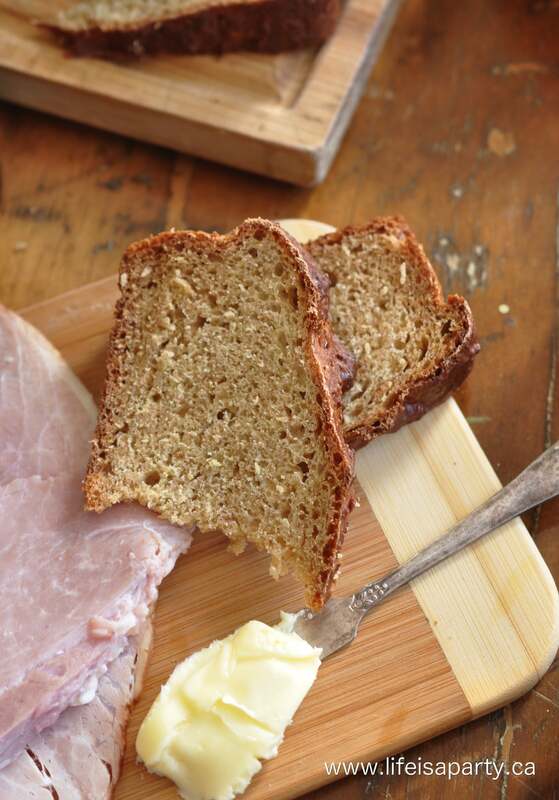 This bread uses soda as the raising agent, not yeast, so it’s quick and easy to make. 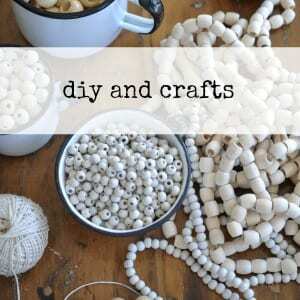 In a large bowl combine all the dry ingredients: both flours, brown sugar, salt, and baking soda. Add in the buttermilk and gently mix to combine. Do not knead or over mix. 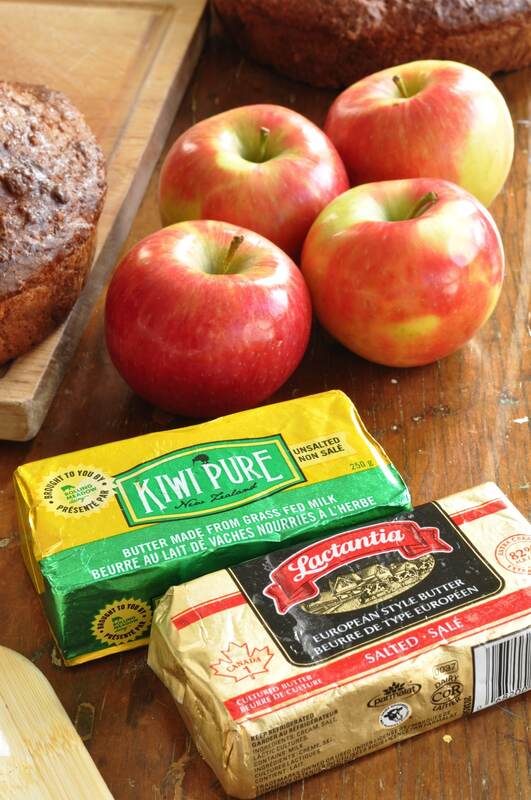 Along with our amazing Irish Soda Bread, we knew we needed some Irish cheese. 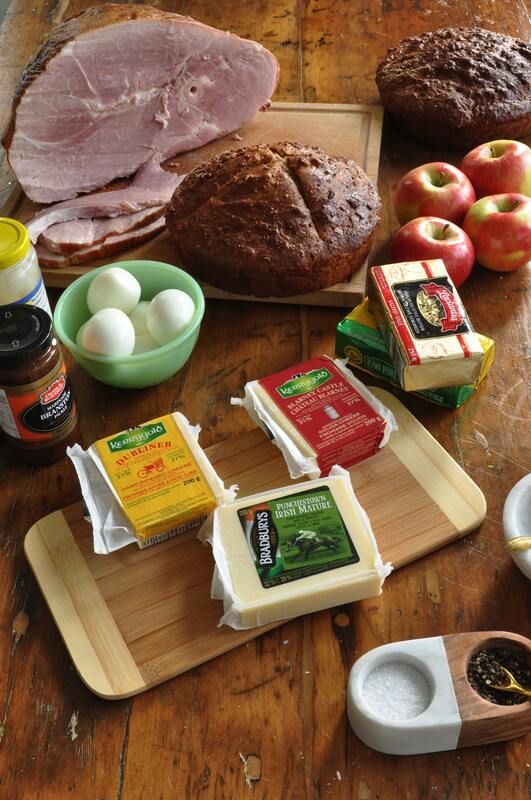 I found some good varieties at the local grocery store -Kerrygold Dubliner Irish Cheddar and Blarney Castle Gouda, along with Bradbury’s Mature Irish cheddar. I feel like I have a special connection to Ireland, although I’m not Irish and I’ve never been there. My best friend, Heather, is from Dublin. She’s passed onto me a certain appreciation for all things Irish. We were discussing Irish butter in preparation for the ploughman’s lunch. Unfortunately you can’t buy Irish butter in Canada, something to do with the milk pasteurization laws here (but for my American readers, you should be able to find Kerrygold). As we discussed Irish butter and what made it better we came up with the milk fat content being higher, and the cow’s being grazed on grass -which is a certain problem here in Canada where the grass is under the snow for half the year. I was able to find a few substitutes though -one grass fed cows butter, and one with a European style butter with a higher milk fat content. They were a splurge, but so, so yummy. I also served some lovely carved ham, crisp apples, and hard boiled eggs. We also needed some condiments, a good mustard, picked onions and traditional Branston pickle -any good chutney would be great. 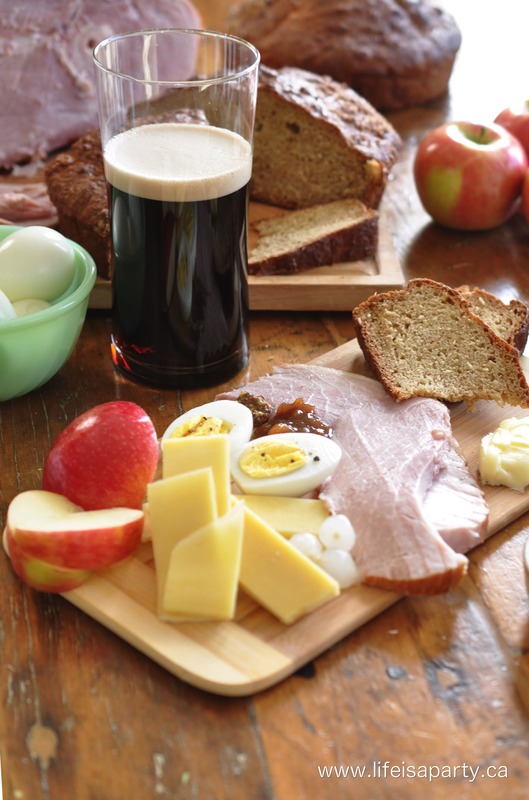 The traditional compliment to the ploughman’s lunch is a pint -we went with Irish Guinness, and Irish hard apple cider, both are favourites around here. 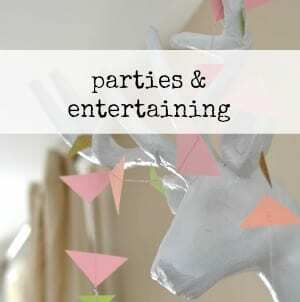 This is the perfect easy meal for a party. 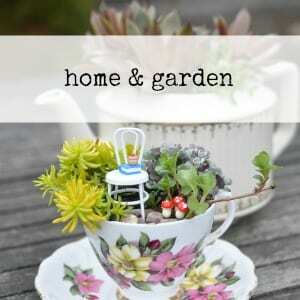 You can sit a long time, savour good simple food, and then have another pint and another story in the Irish way. 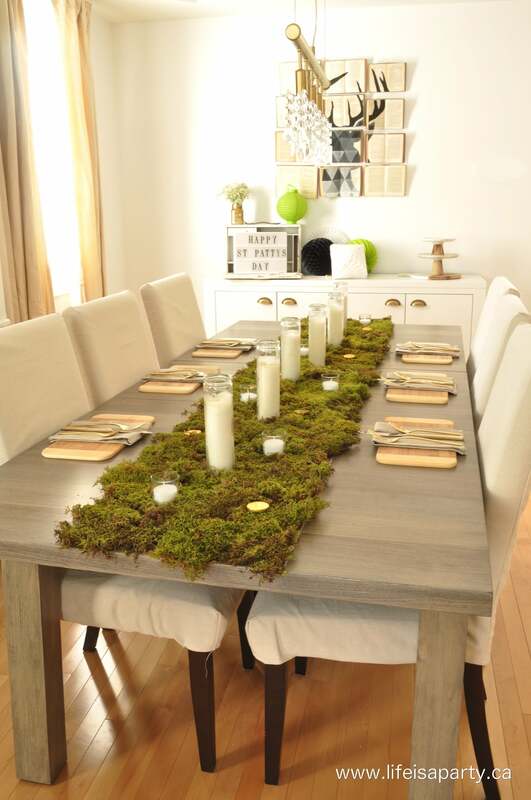 If you need some inspiration to set the perfect table for St. Patrick’s Day, check out this beautiful St. Patrick’s Day table we set. 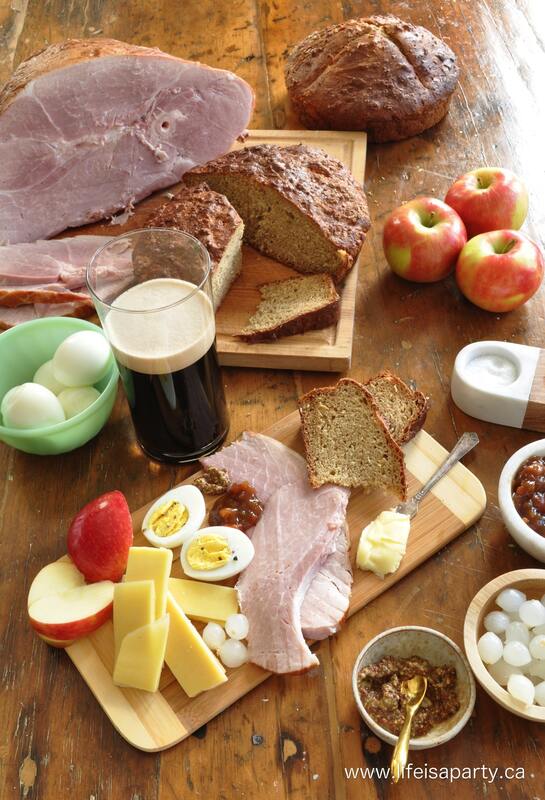 With an Irish Ploughman’s Lunch to celebrate St. Patrick’s Day, life really is a party!